Makeup is Delicious!! : Bath And Body Works Haul!! Bath And Body Works Haul!! These Sweet Pea products are birthday gifts for my friend Amanda. Hopefully she doesn't read this!! 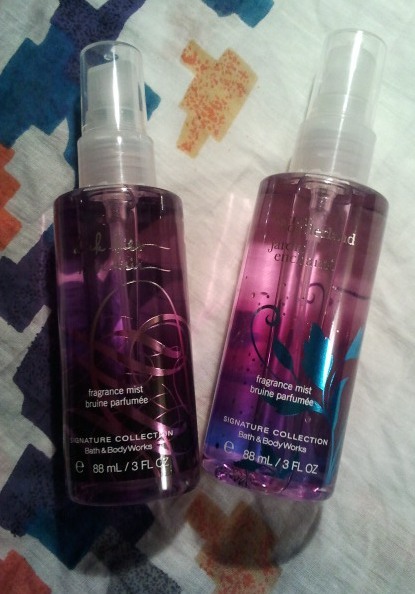 I adore both of these scents!! The "Dark Kiss" scent is slightly musky, so I will be saving it for winter. "Secret Wonderland" is very floral. This was a limited edition summer scent. I really love it and I'm sad to see it go!! I had previously purchased a mini bottle (88 mL) and loved it so much I had to get this large one! It's a very tropical scent, with hints of banana and coconut. 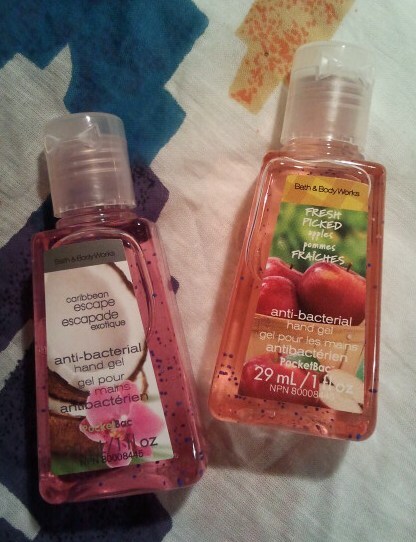 I can never have enough of these mini hand sanitizers. They are the perfect size for throwing into your purse. I like to have a few extras just in case. They are also great for gifts since they all smell amazing!!! The "Caribbean Escape" scent is very tropical and coconut-y, while the "Fresh Picked Apples" scent smells exactly like sweet apples, perfect for the fall! 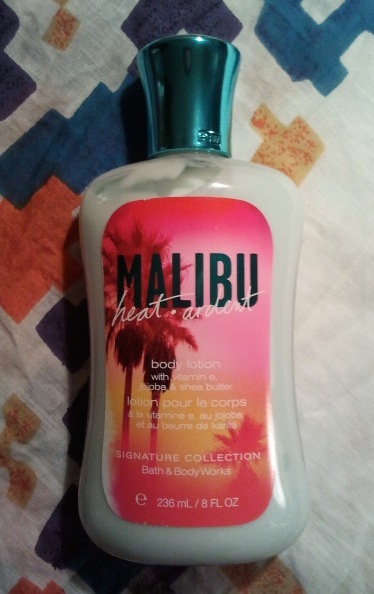 What are some of your favorite scents from Bath And Body Works?